A 20 years+ veteran, Mathieu started as a Strategic Planner with Y&R in Paris. He joined Ogilvy & Mather in 2000 to manage the Nestlé Waters Global account (in particular the award winning Perrier campaigns), Maxwell House Europe, Motorola Europe & American Express. Coping with the rise of the shopper marketing discipline he is named Deputy Managing Director of Ogilvy Action (now Geometry Global) to work on connecting brands like Barclays and LG across the line. A fierce advocate of integration, he then moves to Cheil to lead the 360 operations of Samsung France. 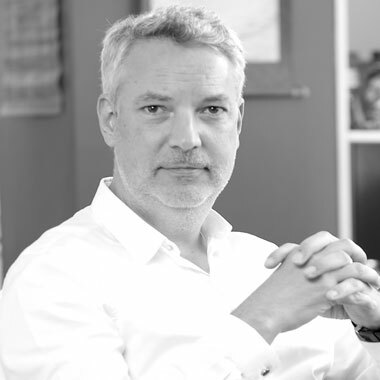 In 2014, Mathieu joined Ogilvy Africa as Regional Managing Director to accelerate the growth of the Group in Sub-Sahara Africa. He is instrumental in raising the profile of the Group with clients such as Coca-Cola, Nestlé, Total, Airtel. He is promoted CEO in 2017. He has been awarded in major Festivals, including Cannes Lions, Clio and Loeries. Mathieu lives in Nairobi with his wife, Karen, and their three children.